Maria Piperis is based in our New York City headquarters and oversees Counsel Press’ company-wide operations activities within our 12 locations nationwide. As VP - Operations, Maria directs our day-to-day operations to support the company’s growth by measuring progress and adjusting processes accordingly. In this capacity, Maria focuses on ensuring smooth interaction between all Counsel Press functions while positively impacting the organization’s bottom line. She formulates policies and strategic plans for future growth. With a focus on efficiency in targeted areas and developing guidelines for personnel evaluations, staff advancement and recruitment procedures to meet current and future needs. Maria’s strong background in appellate process, communication, interpersonal and leadership skills make her a key component of Counsel Press’ success. 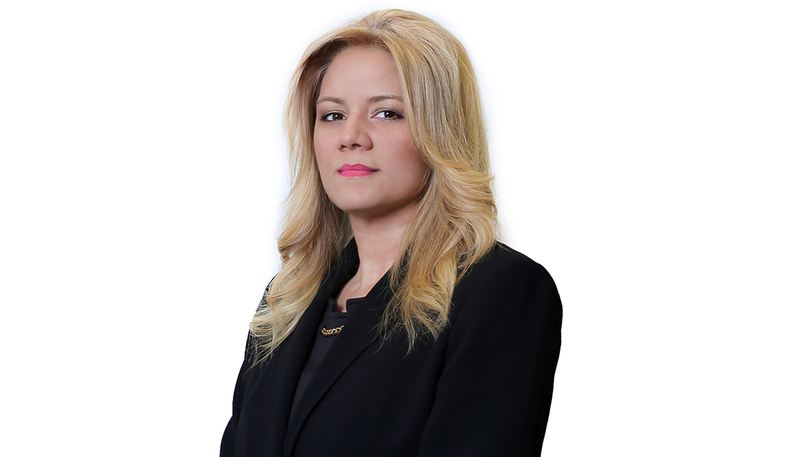 Maria began her career with Counsel Press in 1997 as an Appellate Paralegal. Maria has also held the roles of Paralegal Supervisor and Paralegal Manager. In those capacities, Maria worked directly with our customers from coast-to-coast and personally handled and oversaw the preparation of tens of thousands of appeals in state and federal courts. Maria closely focuses on the shape and development of Counsel Press’ industry-leading internal processes and its award-winning staff. Her wide range of knowledge enables her to offer exceptional guidance to her colleagues and to our clients alike. Maria’s appellate expertise, length of experience and scope of responsibilities ensures Counsel Press customers are offered the best service, quality and guidance available with no exceptions. Prior to joining Counsel Press, Maria worked for the New York State Attorney General’s office as a paralegal for many years. She also worked for Bank of America as real estate paralegal.